I tasted a total of 11 wines by Negly, but it is important to note that only four of them are called La Clape, and this does not necessarily mean that they are the best wines. La Clape is a mountain just south of Narbonne and the legal requirements state that the whites must contain at least 40% Bourbolenc, while the reds must be an assemblage made principally from Grenache, Mourvèdre or Syrah. Other permitted grapes for the whites include Grenache blanc, Clairette, Marsanne, Roussanne, Rolle and Picpoul, and for the reds, Carignan and Cinsault. Any wines made from any other proportion of grapes fail to meet these regulations, but the result is deceiving. In fact, Negly’s top wines fall under the generic Côteaux du Languedoc appellation. “Then I will tell you. Parker sniffs the wine, then he walks outside, about twenty meters, and speaks into his dictafone under his jacket so nobody can hear. Then he comes back, stone-faced, and says nothing. La Clape, L’Écume 2010 (made from pressurage direct) and La Clape, Les Embruns 2010 (saignée made from Cinsault and Mourvèdre) are weak rosés, thin and even watery in texture and lacking acidity. Costing only €4.80 and €7.50, you could still drink a lot better wine for the money. La Clape, La Brise Marine 2009 is a beautiful white wine made from Bourbolenc, Marsanne and Roussanne. With a bouquet of apricots and white blossom, and as its name suggests, you can practically taste the sea breeze, all for €8. Moving to the reds, the Coteaux du Languedoc, La Côte 2008 was a bit disappointing. 70% Carignan, and I am a lover of this grape , but I know how difficult it can be. At €7.80, it is rather one-dimensional and lacks depth. La Clape, La Falaise 2008, €15. As I said before, the hallmark of this wine is its sweet dark fruit and concentrated minerality. Made from 55% Syrah and 45% Grenache, it is well-rounded, persistent and very expressive. Aged one year in barriques, 25% new wood. I can’t imagine anyone not liking this wine. And now for the toppers, all tasted from the vat, as bottling was scheduled to take place the following week. The Coteaux du Languedoc, L’Ancely 2009 is 100% Mourvèdre, with extremely rich, potent dark fruit. A beautiful wine at €53 per bottle. And finally, the Coteaux du Languedoc, Clos des Truffiers 2008 is also 100% Syrah, harvested from a lot that, as its name suggests, formerly contained truffles. There is an explosion of dark fruit and… truffles! I swear, an oily texture and taste is to be discerned behind the Grand Cru price of €91, which most people would agree is a little offsetting. But as Dylan confided, a Swiss gentleman had arrived earlier in the day, had liked what he tasted, and ordered 600 bottles. La Clape, La Brise Marine 2009 this one is my favorite. All I know is what I was told. And I was told it was Parker. Btw, love your blog! Just to clarify confusions passed on in your article. 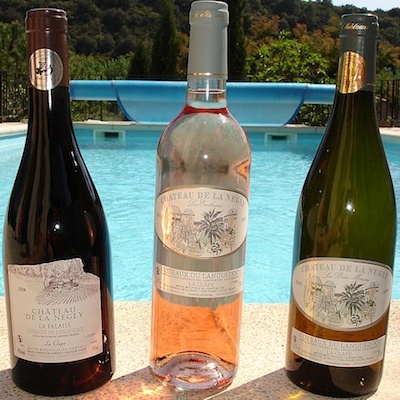 Robert Parker has never visited Château de Négly although he has tasted and reviewed their wines in his Wine Advocate. He has not however regularly reviewed wines of the Languedoc or authored the Wine Advocate reports on this region for more than a decade. For the past six years, this has been my responsibility, and it was I whose visit with the staff at Négly in April must have been behind your story - indeed it at least partially corresponds to my methods. 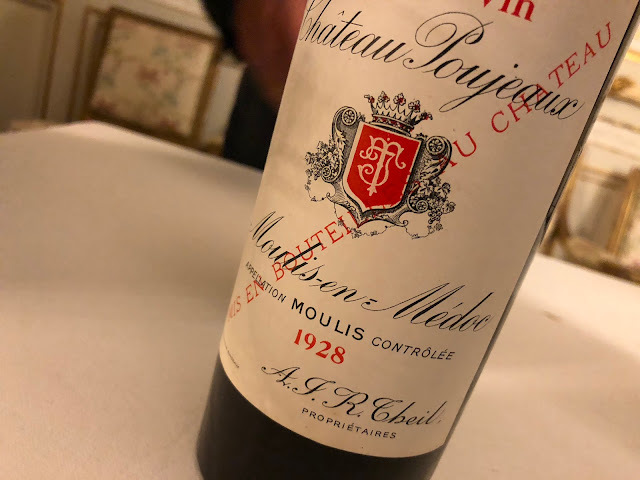 I usually dictate my notes on tape, and I do not normally share specific judgments about the wines tasted with an estate's proprietors or staff, since my job is to publish reviews these wines for my readers. I do however share my opinions to varying degrees with proprietors and winemakers, though normally only after I have published my notes. In fact, a principle reason I work with a tape recorder is to capture conversations with them about their wines. I find it hard to believe that I would have been mistaken for Robert Parker and in particular not at this property. We don't look much alike, and one of our faces is famous. Besides,I am the one who schedules all of my appointments and corresponds with winery principles to prepare my reports, and in this instance, both proprietor Jean Paux-Rosset and consulting oenologist Claude Gros who met with me have known me for quite a few years. Vineyard and cellar manager Didier Lacreu was also present for my recent visit and offered lively commentary and insights on his work. Just to put one other aspect of my apparent weirdness and/or rudeness into perspective: There were some old Rivesaltes wines with whose bottling Gros is involved that he wanted me to taste but which I could not fit into the tasting session I had with him at his lab/office. He brought them to Négly and this is how I found myself recording notes after I had tasted Négly's recent collections and in unusual circumstances that compelled me to repeatedly turn my back on folks who were by then having dinner. This is certainly not normal practice on my part! Thank you for commenting and setting the record straight. As I mentioned, I was simply reporting what was related to me by the apprentice. It was obviously a case of mistaken identity. As I also related in my article, my intention was not to denigrate Robert Parker (or more correctly, yourself) but to underscore the importance The Wine Advocate has in today's wine culture. I hope you were not offended. Your contribution is valued and an important addendum to an anecdote that I felt was worth sharing.